Whisk the egg, milk and extract together. Dip the bread in the egg mixture and then into the flaked almonds. Fry in a pan until golden brown. 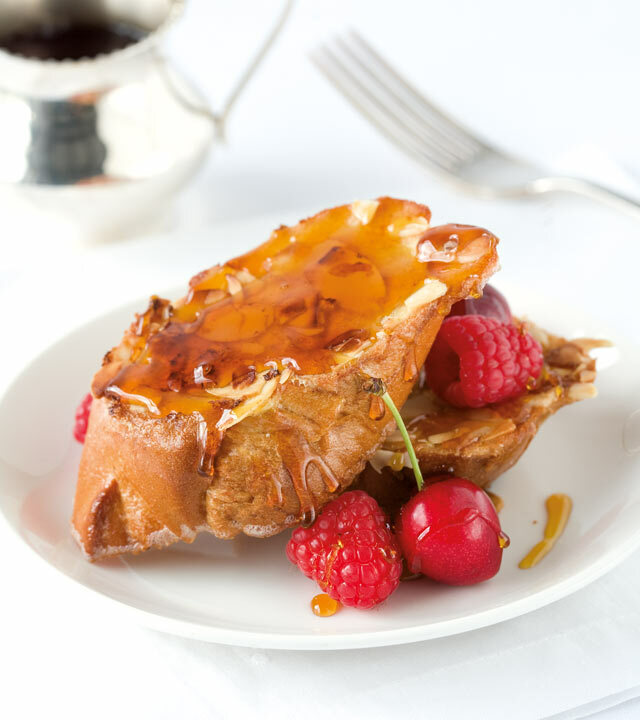 Serve topped with mixed berries and drizzled with maple syrup.